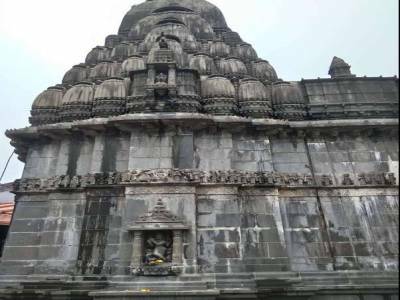 The Bhimashankar Jyotirlinga is a temple located in the Sahyadri Hills of the Western Ghats in the Pune District of the Maharashtra state. The Bhima River has originated from the Bhimashakar shrine spot itself and is believed to be very sacred. The myth behind the appearance of this enlightened Jyotirlinga is also related to the Ramayana Epic. The story states, Bhima, the son of Kumbhkarna, went outrageous after finding out the death of his father in the hands of Lord Vishnu incarnate Rama and went on a revenge spree on receiving the invincibility boon from the compassionate Lord Brahma. To stop this havoc in all three worlds, everyone prayed to Lord Shiva and Lord Shiva emerged from a linga that Bhima struck with a sword. Then began the four days battle, the outcome was the death of Bhima. It is believed that the sweat poured from Lord Shiva's body formed the Bhima River which merges with the river Krishna to make it holy. 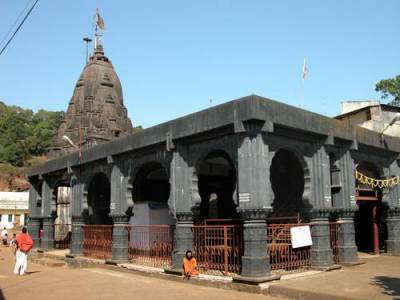 The temple is believed to be built by the sculptors from the lines of Lord Vishwakarma. The temple is made by uniquely combining architectures of modern and ancient worlds in the Nagara style during the 1300 AD period. 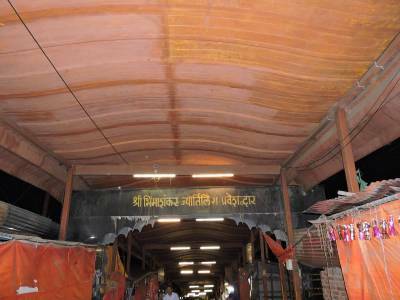 The temple was later remodelled by the Peshwas during the Maratha Reign. The shrine has a great pagoda structure and the Jyotirlinga is at the lower sanctum. There is a temple of Lord Shani and in between the pillars of that temple placed a great black bell of Portuguese origin. 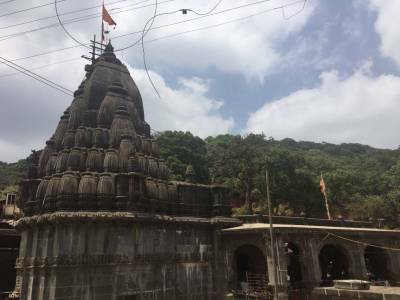 The Bhimashankar Jyotirlinga temple is truly a God's Abode because nothing is more beautiful than a temple on the lap of encompassing verdant Sahyadri Hills being caressed by the serene and free flowing waters of Bhima River. 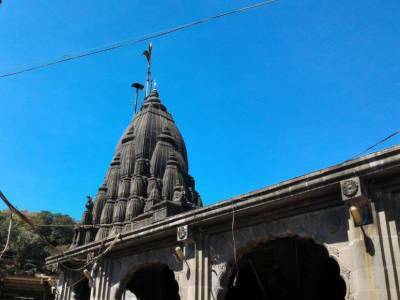 This 127 KM drive from Shivaji Nagar, Pune or 50 KM drive from Khed, Pune is a destination for both reverence and relaxation. Get quick answers from travelers who visit to Bhimashankar Jyotirlinga.